Forgot to mention, this is on Android. when I run this on Android 4.2 emulator it works fine (although seems to be displaying a cell-reuse bug with respect to the grey background). 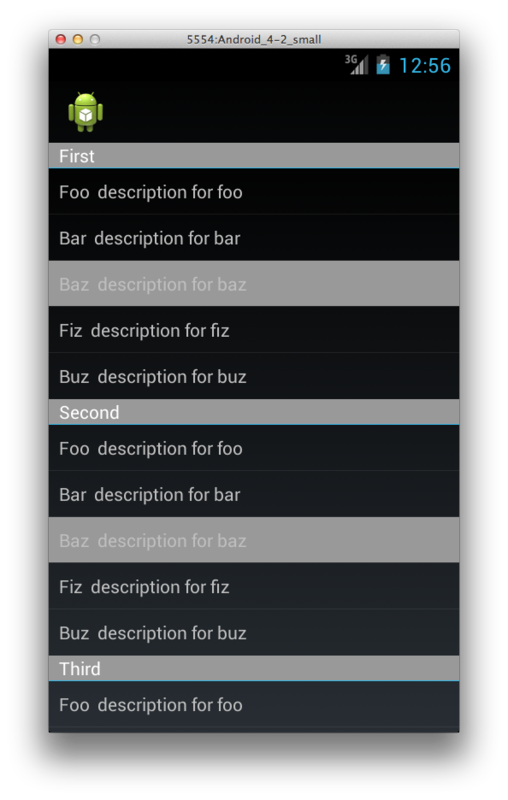 The project defaults to target Android 4.0.3. 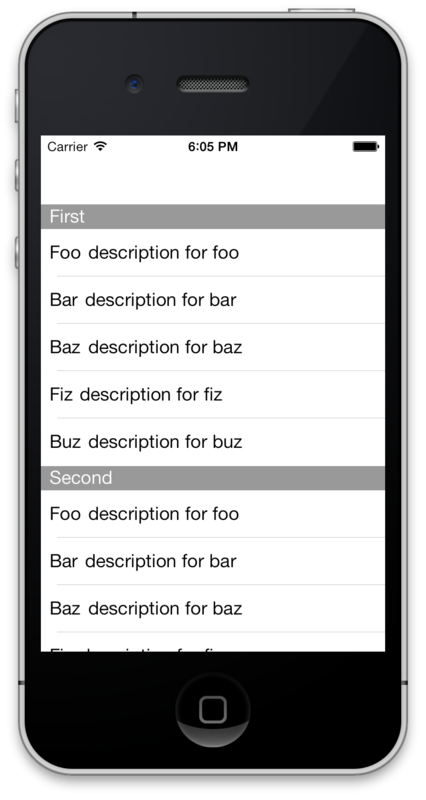 This is with a very old Xamarin.Forms (1.0.6186) which is what the 'file>new' template still ships with. when I upgraded to Xamarin Forms 1.2.1.6229 it fails with the error you describe. turning IsGroupingEnabled off prevents the problem occurring, but obviously does not then display the list correctly. looks like a bug/regression in the Android grouping code (since it runs fine on iOS on both the older and new versions of Xamarin.Forms). @CragDunn Are you able to post a bug report? I'm not sure if my bug reports are ending up in front of the eyes of ppl who can fix them. @CragDunn also, that gray background bug is something else I've experienced but haven't reported. If you explicitly set a background color to the ItemTemplate, it goes away. The exception has been fixed, it will go out with the next release.